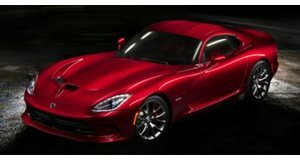 After being absent from the world's most grueling endurance race for some time, the SRT Viper will be back in action at this year's 24 Hours of Le Mans. Back in 1998 until 2000, the old Dodge Viper took part in the GTS class at the 24 Hours of Le Mans. For three years straight, the track-going version of the all-American supercar dominated the French track and took both first and second place in its class, a mighty impressive feat. But now that Chrysler&apos;s troubles are (hopefully) over and money is being made and not lost, the newly founded SRT Motorsports has just announced that its new SRT Viper GTS-R will take part in this year&apos;s famed French endurance race in the LM GTE Pro Class. SRT CEO Ralph Gilles proudly stated that "Historically the Viper GTS-R has enjoyed great success at Le Mans, so we couldn&apos;t be more excited and proud to accept the challenge to return to France and continue composing the next chapter in the history of Viper racing at such an historic venue." The Viper GTS-R will also be taking part in the American Le Mans Series (ALMS) beginning this March at the 12 Hours of Sebring. The 24 Hours of Le Mans will be taking place this June in France.